Alphabetical, by state – brought to you by Americas Cardroom. 334-368-8007 or toll free: 1-800-826-9121. The Mazatzal Casino “Owned by the Tonto Apache Tribe, a small tribe with a lot of heart, who welcome you to come and enjoy “The friendliest casino in Arizona”. Cliff Castle Casino Owned by the Yavapai-Apache Nation Located in Camp Verde, Arizona, off I-17 take Exit 289. The Palace Indian Gaming Center, “has had a tremendous impact on our reservation. The Palace has grown from 86 employees in 1994 to over 400 employees in 1997, one-third of whom are Native American.” Located in Lemoore, California, and managed by The Santa Rosa Rancheria Tachi Tribe. Economic Development of the San Manuel Band of Mission Indians of California. Owned by The Concow-Maidu of Mooretown Rancheria. Barona Casino “We believe in Magic” 1000 Wildcat Canyon Road, Lakeside, California! 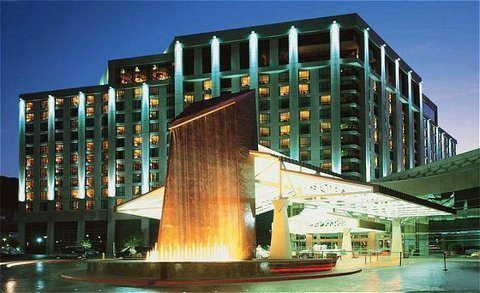 Twin Pine Casino “Located just south of Middletown, California is owned and operated by The Middletown Rancheria, band of Pomo Indians. The Casino is open 24 HOURS a DAY, 7 DAYS a WEEK, offering Traditional Coin Drop Slot Machines. Visit CasinoSitesUSA.com for online gaming options. Mohegan Sun ‘A Legendary Gaming Experience’ Owned by the Mohegan Tribe (UNDU WIGO), the casino is conveniently located approximately one mile from the interchange of Interstate 395 and Connecticut Route 2A in Uncasville, Connecticut.” (1 Mohegan Sun Boulevard, Uncasville, Conneticut 06382) For more information call 1-888-226-7711. Sky Ute Casino “Amidst the calm magnificence of some of Colorado’s most spectacular ranch land you’ll find a big-time surprise. Big fun, big rewards, and big smiles. The Sky Ute Casino. . . the Southwest’s friendliest casino. Welcome to Miccosukee Indian Gaming “Corner of Krome Ave.
stud poker, Texas hold’em, and high stakes Bingo. High Stakes Bingo and Casino! Located off I-15, exit 80, Fort Hall, Idaho. Cypress Bayou Casino “Owned by the Chitimacha Tribe of Louisiana. Located in New Buffalo, Michigan’s Lower Peninsula! 1998 for visitors from all walks of life to enjoy. Located in Mount Pleasant, Michigan’s Lower Peninsula! Saganing Eagles Landing Casino • Winning comes naturally. Located in Standish, Michigan’s Lower Peninsula! of Michigan’s most scenic areas, in Michigan’s Upper Peninsula! Northern portion of Michigan’s Lower Peninsula! directions, on finding your way to a great time. one mile west off US 41 in Baraga. east on M28 off US 41.
overlooking Waishkey Bay, the St. Mary’s River and Canada. golf destination for tourists visiting Northern Michigan. Located in Detroit, Michigan’s Lower Peninsula! miles north of Traverse City on M-22 in Peshawbestown. east of Acme on M-72 in Williamsburg. approximately 13 miles west of Escanaba on U.S. 2 & 41. Play video poker or virtual roulette online! south of Walker, Minnesota and near Onigum tribal community, Leech Lake Bingo and Palace Casino Hotel located at Cass Lake, and White Oak Casino located in Deer River, Minnesota. Treasure Island Resort & Casino “Owned by the Prairie Island Indian Community, located in southeastern Minnesota, north of Red Wing, between Highway 61 and the Mississippi River. 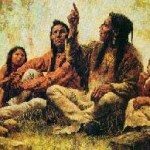 The people of Prairie Island are Mdewakanton Dakota. Dakota means “friend” or “ally.” The Mdewakanton Dakota people have lived on Prairie Island for countless generations.” For information, send e-mail, or phone: 1-800-222-7077. “Owned by the Mississippi Band of Choctaw Indians “A federally recognized tribe. Turning Stone Casino Resort ~ Live A Little “The Oneida Indian Nation invites you to come see – and come play – at New York State’s casino, located in Verona in the heart of Central New York at Exit 33 of the New York State Thruway. The Oneida Indian Nation Operates a variety of enterprises help support the Nation’s services to its members, as well as providing employment for more than 3,100 people.” Oneida Enterprises include; Standing Stone Gaming, Shoppes at Turning Stone Casino, Golf, RV Park, SavOn, Oneida Textile Designs, Native American Catalog, Marion Manor Marina, SmokesOnline.com, Indian Country Today, Employment Information Services! live bingo, special tournaments and tourist packages. 4*Bears Casino and Lodge Owned by the Three Affiliated Tribes the Mandan, Hidatsa and Arikara. Located on the Lewis & Clark Trail, on beautiful Lake Sakakawea, just four miles west of New Town, North Dakota on Highway 23. Cherokee Nation Casinos Live Games, Good Food, Great Fun! ~ Come Join The Fun! 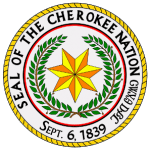 “It all begins here at Cherokee Casino. Whether you’re a first-time blackjack, bingo, or video bingo player or a master of the games, the Casino’s unique brand of Bingo and Electronic gaming is designed to provide hours of entertainment and excitement. Located in Catoose ~ Roland & West Siloam Springs, Oklahoma. Wildhorse Gaming * Resort Cayuse Umatilla And Walla Walla Tribes! Located in Northeastern Oregon, 5 miles east of the town of Pendleton. Kah-nee-ta Resort & Casino The Warm Springs Reservation was established by The Treaty of 1855 on a small reserve of land where our ancestors lived for thousands of years. In 1937 the Wasco, Paiute and Warm Springs Tribes organized as the Confederated Tribes of Warm Springs and became a sovereign, self governing nation. Seven Feathers ~*~ Seven Feathers Corporation “Hotel & Casino Resort” Canyonville, Oregon. Owned by the Cow Creek Band of Umpqua Tribe of Indians. Our Interstate 5 location means we can offer you terrific and convenient casino trips to the Seven Feathers Hotel & Casino Resort. We are located in Canyonville, Oregon, which is in the southern Umpqua Valley in Oregon. The St. Croix Casino: Conveniently located on U.S. Highway 8 in Turtle Lake, the heart of northwest Wisconsin, one hour northeast of Minneapolis / St.Paul and one hour northwest of Eau Claire, Wisconsin. Oneida Bingo and Casino in Green Bay, Wisconsin! Little Creek Casino Located at the junction of Hwy 101 and 108 in Shelton, Washington. Click here for USA online casinos where you can play for fun or real money. The most popular US-friendly online casino – the Bovada Casino – is licensed by Kahnawake Gaming Commission which is located in the Mohawk Territory of Kahnawake, Canada. If you open an account, be sure to read about the available Bovada bonus codes here at http://usacasinobonuscode.com/bovada-bonus-codes/ which can provide various welcome bonuses, courtesy of http://usacasinobonuscode.com. MegaMania is a fast-action game that results in a winner in about two minutes. averages more than $10,000 and is won about once per week. halls with their telephone numbers and addresses listing. You can play live casino games online with real dealers. Learn more at https://livedealersites.com. Play for FUN online! ~*~ Play for REAL online! Saskatchewan Indian Gaming Authority “Bringing you gaming throughout Saskatchewan” Native owned gambling casinos are available across Canada! National Gambling Impact Study Commision Washington, D.C.
Indian Gaming Business Official Publication of ‘NIGA’! Tribal Gaming Commission Administrators, Inc.
“Indian Gaming… Working for Indian Nations and working for New Mexico. striving for self-sufficiency through reservation based gaming enterprises. 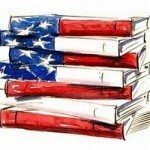 News articles on Casinos and American Indian gaming! Casino Games, Practice here for free! You can’t lose here. 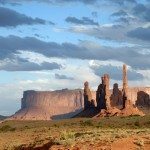 an empowering economictool for Tribal sovereignty?